Happy Monday! Welcome to another StampTV Sketch Spotlight Challenge! This week we have a fun sketch, with three little panes to fill! TIP: I used B60 and BV31 (Pale Blue Gray and Pale Lavender) to add shadows to my bunnies, these colors look a lot fresher and coordinate better than gray would with the periwinkle in the DP. "Can you really think of a better medicine for depression than have the handsome talented love of your life sing a song about how devoted they are to you? Then take it a step further and have that same man go on national TV and talk about you and sing that song? I certainly can't. 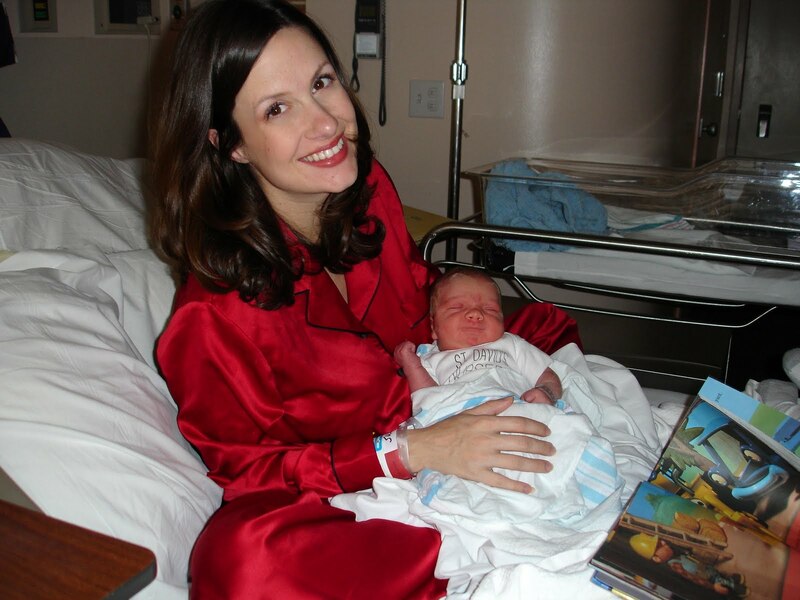 In fact, all the pills and therapies Juliana's had up to this point have not amounted to the quality of improvement this single event has had on her emotional state. When she heard the song she said, clear as bell,"This is the best I've heard him sound. He's singing about me, right?" (My note: if you have not read more about them before, her speech has been very difficult to understand since the accident and she hardly spoke at all before Chris auditioned; so sweet, Chris was quoted in an interview saying her new found desire to talk was from Steven Tyler's "magic kiss!) She cried when she watched the video and asked to go on Facebook... ASKED...so she could comment on his song and video. She is so incredibly proud of him as we all are but we are seeing it on Juli and that visibility is overwhelming us all. If you have not yet heard the song you are missing out on one of the most emotional experience so Juli's recovery. 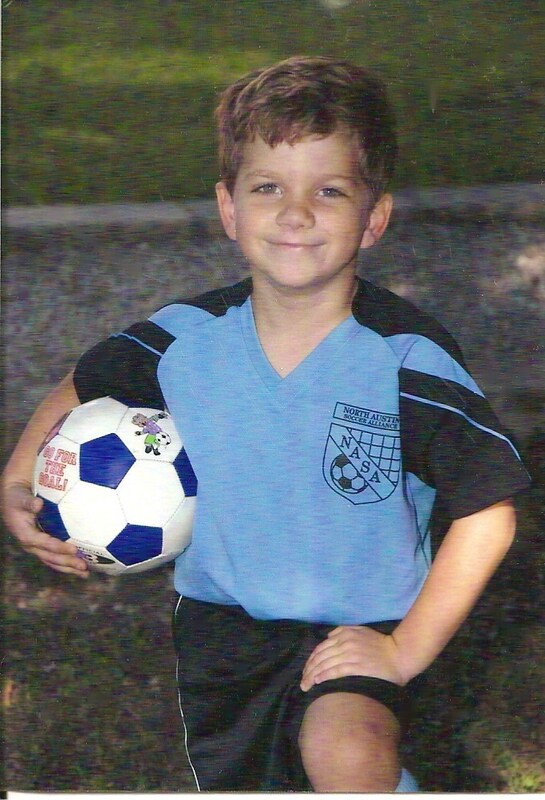 It is the affirming evidence of all the prayers that have been said for Juli, Chris, and our whole family." Read the full post here. Download the song on itunes, let's get it in the top 10! Happy Friday! Forgive me for not posting my tip sheet and a few other things I promised yet, but we've been so sick here and I missed the last few challenges so I pushed this one to the top of my list! Pure Luxury Creme de Menthe, Red Hot and Lemon Drop! These colors inspired a sweet Spring card with just a little heat! I added some little adhesive rhinestone bling trails after popping the flowers up. Don't forget to stamp up the inside of you card and your envelope with those pretty flowers! Hope you play along, you could win new stamps! Be sure to use the tag STVCSP13 when you upload your new creation using this beautiful color combo to the STV gallery! Have a terrific weekend, come back and visit for more basket stuff! Not only was I looking forward to seeing and hearing him each week, I was really hopeful there would be someone in the spotlight with a positive message and positive values in a time where stars so often begin and end marriages every few years, someone young people could truly look up to for both their talent and their choices, that you CAN succeed without just "looking out for number one". I don't normally follow people like this, but he really made an impression on me, as he clearly did others. I also read he will be on Jay Leno on Friday night singing a song written by Rodney Jerkins specifically for Chris, titled "What are Words" which will be available for purchase! Looking forward to that! If biggies in the industry are already writing songs and arranging performances for him, he is well on his way and can get going sooner with recording without the stress and months away from Juli on the American Idol stage! God is good! 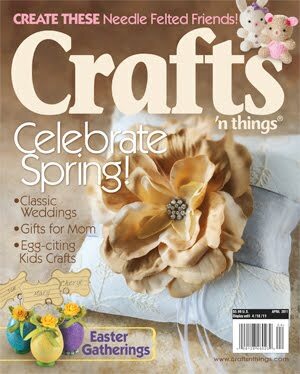 The Spring issue of Crafts N Things is here, and the magazine has gotten a fresh new makeover, you will love the look! Lots of changes have been made to the features and layouts, clean and bright, easy to read, be sure to check it out and see all the new things inside! and one I made with my "Wild at Heart" set. Last card from the party: This giggling bunny from "Basket Blessings" really inspires me to explore all the possibilites of what he might be laughing about! Asela's "Chocolate Bunnies" and greeting inspired this card, a real bunny smitten with a chocloate one, and his friend finding it all very amusing, without the heart to tell him! Thanks for you all your comments about William! He says so many sweet and funny things every day (Jonathan too, of course ) ;), I will be sharing more here to have a record of them until I have them on paper! 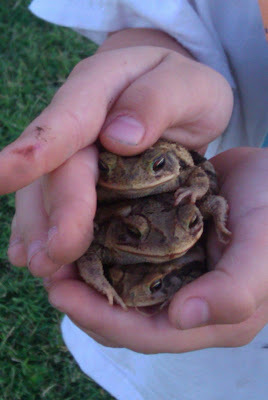 "Mama, God gives me so many gifts when I am sick: those frogs outside, that quarter I found, ... just so many gifts." I am still so happy with how this illustration turned out, they really took on a life of their own, one with a shy smile and the other's stifling a laugh, I just love when a drawing surprises me like that! Although I love the "giggle" sentiment from "Basket Blessings" intended for it, I really wanted to make the image the focus of the card so I left it greetingless. Bunnies are stamped onto White Pure luxury and die cut with labels 4. Everyone loves white rabbits, so you can keep your coloring super simple by taking a light gray like c-1 or C-2 or a very pale Copic pastel that has a light blue or purple tint depending on what colors are in your DP you use with it, and just trace around the edges. Add a hint of pink to the ears and that's it! I used two prints from the Basic Grey Olivia pack, making sure to have a few of the whimsical bunnies in the print showing around the label. Cardstock is Innocent Pink and Ocean Mist. This would be sweet Easter card, but also a fun any time "friendship" card. TIP: Behind this busy fantasy print there is a large dotted print, crop the mat through the middle of the circles on each side to reveal this inverted scallop around the edge, isn't that a fun look, like I did some pretty row of bling all the way around? OR, crop it just outside the circle rows and make the mat that goes over it small enough to cover the inside of the circle for a row of scallops around the edge. If you don't want to lose a lot of that pattern underneath, use your Nestabilities to cut out a shape to use later, the hole will be covered with the mat you place over it. Love saving time and paper this way, use your stuff and use your scraps! 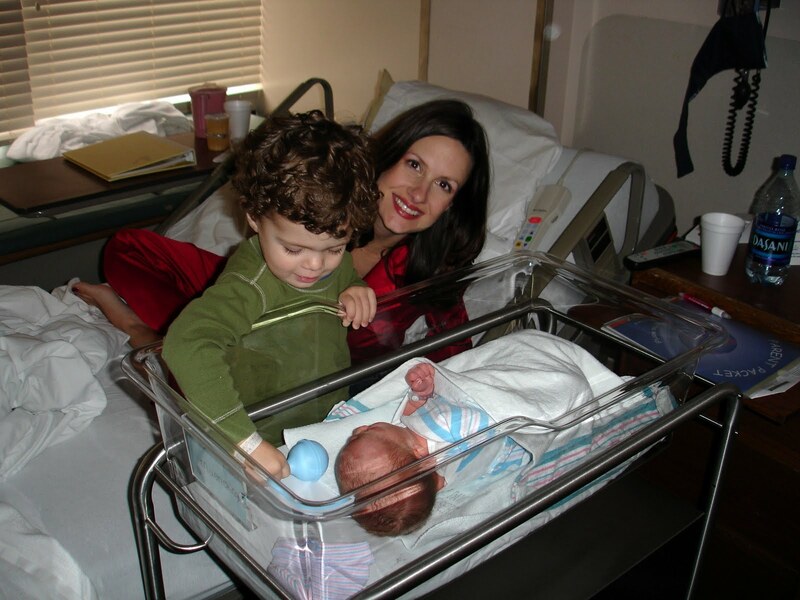 Thanks for praying for Brenner, will get an update on whether he is coming home today or not soon! I am feeling so much better today! Finally! Yesterday was really achy and concerned I might have been getting the flu, but I slept great for the first time in weeks and am about to head out for some fun with my kids on their day off! Be back soon, I have a lot to catch up on here! The plaid is layered over Little Boy Blue and the White Pure Luxury base is embossed with Cuttlebug Swiss Dot folder. I put a few alpha letter beads onto the white safety pin, my embellishment of choice on baby cards (number 2 is buttons!) and attached it with glue dots. This card celebrates the birth of a little boy to a mom in my small group, he was born several weeks prematurely (although still 8 pounds, she has huge babies!) and he is making so much progress, the Lord has answered so many prayers already, the doctors are quite amazed. If you are able, please lift up a prayer for little Brenner today he can stay off his oxygen and pass his swallow test today so his doctor will sign off on letting him come home tomorrow, thank you! ** named after Snuffy Smith, anybody remember that cartoon? Okay, my head is too congested and I am too sleep deprived to complete my tip sheet or do that coloring tutorial for you, sorry for the delay! Here is a little hee hee in the meantime til I can finish up all these drafts in my dashboard...a favorite card from our party on Thursday, peek a boo! When I added that greeting to "Basket Blessings" I knew it would get a LOT of mileage with so many things you can reveal just above the basket and then perhaps have your subject completely OUT of the basket on the inside of your card. Theresa's turtle from "Little Critters" was an obvious choice to me to go UNDER the basket, it's like a second shell! Can't you imagine the basket slowly moving by itself across the floor, "Toy Story" style, powered by this little guy? LOL! TIP: The basket is cut out and popped up to really give the 3D effect that he is under it. Shadow is W-1 and W-3. "Peek-a boo" is super sweet for baby cards too, but also any time you need a bit of comic relief! (I need a little very day to keep me going!) Looking forward to more "out of the basket" giggles with "Spring Basket", AND with this turtle, oh wait til you see! Check out all the new release sets from Gina K Designs right here! Here is one sample I shared at the party that uses BOTH "Spring Basket" and "Basket Blessings". More in the morning, good night! Sneak Peek Day 4: Free with Three "Framed Greetings"
Hello! Welcome back to our final sneak preview before the party starts tonight! This morning we are sharing this month's Free with Three set "Framed Greetings", what card wouldn't look better with this gorgeous label on it? TIP: If you want to add a fancy mat behind the label but don't have a pendant die, try making one from two Fancy Tags die cuts, this black print is also Marjolaine. Cardstock is Pure Luxury White and Black Onyx, 5/8" stitched ribbon and adhesive pearls to embellish. Please go see more ideas for these "Framed Greetings" from our talented design team! See you at the release party tonight, 7PM CST on StampTV! Hope you have enjoyed the previews so far this week! Do you like free money? How about getting paid to work out? I know that sounds impossible, but I saw a really fun product being offered at 50% off on Mamapedia (Sweet Deals) yesterday and wanted to pass it on to you, since you order it online, you can get it no matter where you live, it's not a local voucher. It's called the S2H Replay Activity Tracker, (click on that link to see the deal and read more about it) a cute little sports watch that records your daily activity in 15 minute intervals and gives you a code to add 60 points for an hour of exercise to your Switch2Health account online, up to one hour per day. Accumulate points to get gift cards to Barnes n Noble, Lowes and more! That's music to my ears! Rewards are posted so you can see what you'd want to work towards. I bought one and I think I'm going to get them for my kids today, too, they also have Toys r Us, Blockbuster etc. What a fun way to get small rewards and measure your activity! Until I came down with my cold last week, I was going to the gym everyday for 3 weeks straight. If I'd had the Replay I could have gotten $10 to spend on Amazon.com or Fandango (and I wouldn't have been tempted sometimes to cut my work out off like I did at 45 minutes)! That might not sound like much, but it's better than nothing and I like that you're not rewarding yourself for working out with food! :) Plus, the money back for that would already cover the cost of the watch with this half off deal! Oh! By the way, mentioning my kids, Mamapedia also has a program that donates 5% of EVERY purchase to the school of your choice, so now that I've logged in my children's school, the school automatically gets 5% whenever I buy a deal. Nice! I like! I would love to know what YOU think of the S2H Replay or if you've heard about it before/or maybe even have one! Will be back with an OWH post and pics from William's birthday Sunday. Poor little guy is home sick with fever today and I still have this cold. Yuck. I am just so thankful we were able to enjoy his party Sunday before he got this. Sneak Peek Day 2: "Little Critters" and "Chocolate Bunnies"
Welcome back! On our second day of previews, the hop gets hoppier with "Little Critters" and "Chocolate Bunnies"! First up is Theresa Momber's beautifully drawn "Little Critters", they are storybook magical, with lots of little elements to help you create adorable scenes around the critters! I heart this little froggie and mushroom! These prints reminded me a of a spotty frog and FLIES, hee hee! :) I sponged some Vvid Brick ink over the heart die before removing it to make the greeting pop. TIP: Stamp bunny in brown before coloring with brown shades. Cardstock Pure Luxury Innocent Pink, Chocolate Brown, Basic Grey Nook and Pantry (I use this paper on my cake card last week, looks like I did a lot more work than I actually did!) Fancy Tag Die, Copics, Basic Grey Glazed Brad. Please see more samples for each of these sets from our talented team! Have fun hopping today! See you tomorrow for an Operation Write Home update! Sneak Peek Day 1: "Spring Basket" and "Basket Blessings"
Hello! Welcome to the first day of our Gina K Designs sneak peeks! I am thrilled to preview TWO new sets I illustrated this month: "Spring Basket" and "Basket Blessings"! The "Spring Basket" set contains smaller versions of your favorite springy images from "A Year of Flowers" (which you will LOVE mixing with your larger blossoms! ), plus bunches of flowers (no need to mask!) and a beautiful basket to put them in! This next sample I used just the chicks and eggs (one image) and a greeting, both from "Basket Blessings". I wanted to show you that all these basket "fillers" are FULL images, NOT just the top halves to go above the basket. This gives you a lot more versatility so you can use these images by themselves. Please check out more of our designers blogs for inspiration with these two sets! Thank you again for stopping by! More peeks tomorrow! Another card from Trena Brannon today, and another one coming up! I love how she used three pairs of hands on this one and colored different skin tones! The words inside each of the hands are from "Where Your Heart Is" and "Inspiration Mosaic", together these three little words convey such a positive, hopeful message! The stamped uncolored hands are a perfect way to "bring the outside in", along with this message from "Hope is Faith" (you can also find this sentiment in my "Hand in Hand" set. Hope this inspires, I know it does me, and I have a LOT of cards I need to make with this set (along with other holiday cards I already have) to send to Operation Write Home, will be sharing on Wednesday how we did, thanks for all of your orders and support of this set, OWH will be getting LOTS of cards for the troops!!!! Thank you again for visiting and your comments! (My voice is almost gone today, so I have a feeling my hosting duties tomorrow at the party will be smile and wave, smile and wave...) Gotta run to pick up the ginormous cake from Costco! Hugs! Are you ready for sneak peeks?? They're almost here! I received this beautiful card in the mail from Nicole, who wanted to thank me for the "A Year of Borders" set she won, how sweet!! I absolutley love how she cut the little groupings of butterflies to adhere them to the wavy curve she made from the black gathered ribbon, isn't that beautiful? I gotta try this! DP is Basic Grey Curio, lovin these colors and lovin' the glitter! The circle design is so pretty and punching out the negative butterfleis to bring the black and design around the top is the perfect touch! So back in the fall, I thought both boys being at school 35 hours week would mean a very different life for me: one that would allow time to always have a clean house, errands done, stamping finished, PLUS leisure time to learn a new language, pick up an instrument, cook like a Master Chef, write a novel, maybe take an occasional nap, and have a grand adventure at least once a week. (Yeah, right, I know) Well! In reality, not so much. BUT, I DID buy a great Groupon (do you get YOUR Groupon??) in September to Bel Canto Farms for two private riding lessons, it's about a 45 minute drive south of me. I looked at my voucher the other day and whoops! It was going to expire in three weeks!! (Where did the last 6 months ago??) So I had to hightail it down to the farm and cross at least ONE adventure off my list! 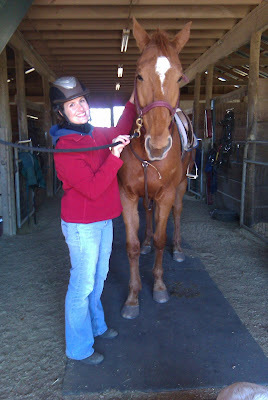 Here I am after my lesson with Archie (he looks great, I look super puffy in three layers, it was CHILLY that day!) It was English riding, I had never tried before, so I got to sit on the elegant tiny saddle (no horn) and wear the cute helmet (no cowboy hat today!) Vickie, my teacher, was a great instructor, and, she was REALLY impressed with how well I did, that was just so unexpected and awesome to hear! :) Will be going back next week for round 2! Welcome to our design team's virtual birthday party today honoring Gina of Gina K Designs! Our team has everything we'll need to make it the biggest birthday blowout possible! You should be coming from Lee's blog (hop starts at Carolyn's, but you can join in anywhere and make your way around) Now it wouldn't be a birthday party without... the CAKE! So that's my contribution today! After adding some pretty Basic Grey Nook and Pantry DP (the striped deocarative elements on these pages made it so easy to create a fancy decorated and layered look!) and greetings from "Candles on Your Cake", I made the little pull for the tippy top using the cake image from the most recent Stamp TV Kit "Sent with Love, the layers were perfect for the look I wanted to create today. I stamped "birthday girl" in Rich Cocoa onto Pure Luxury White and die cut it with a Beaded Circle, sponging pink ink on before removing the die. I stamped two little flowers from the "Candles on your Cake" set, too and layered it onto a Petite Scalloped Circle I cut from the solid distressed brown DP in this same Basic Grey pack. I used the Threading Water punch on the DP to make the scalloped tops and adhesive pearls in various sizes to accent the papers. Another fun this about this pull design is that you can pull the layers up askew so they look like those wonky tiered fantasy cakes, like something out of Dr. Seuss, isn't that cool? Now please go see what AJ is bringing to the party! Hope you are enjoying your hop, and we are so glad you could join us in the festivities! After you are finished hopping along, don't forget to head on over to Gina's Blog and wish her a Happy Birthday. TWO lucky commenters will receive a party favor---a FREE stamp set! Hello and happy Monday! Time for another Sketch Spotlight, here is my interpretation of the sketch, using my "Mugs and Kisses" set. DP layers and cup is paper pieced with Basic Grey Nook and Pantry, (used E43 to shade the cup and E57 and E77 to color the coffe inside) Cardstock is Gina K Pure Luxury White, Innocent Pink and Chocolate Brown (this layer is embossed with Cuttlebug Scrollwork folder). Mug and sweet and popped up for dimension and I sponged the Beaded Oval die with pink ink. Be sure to sue the tag STVSKSP12 when you upload your new creation using this sketch to the STV gallery. I hope you participate and best of luck winning some free stamps! Fun stuff this week, thanks for stopping by today, see you tomorrow!! 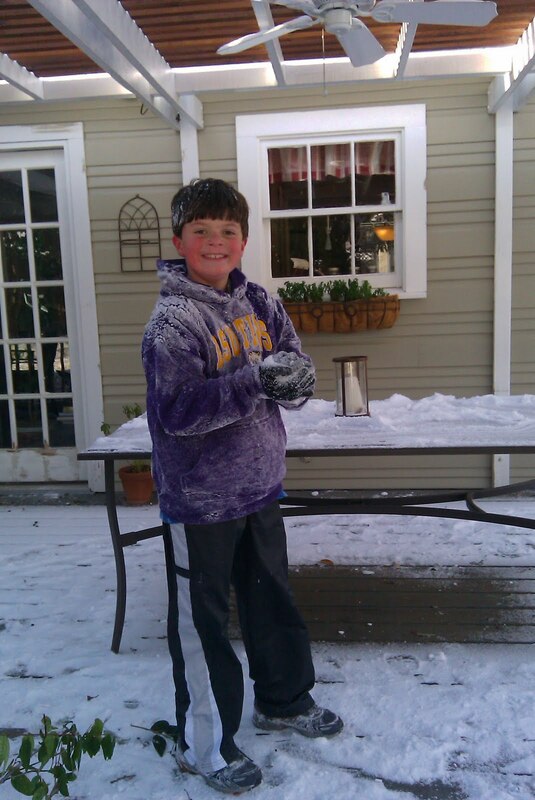 Well, in answer to our prayer, we got our snow! (in answer to the kids prayers, no school on Friday!!) 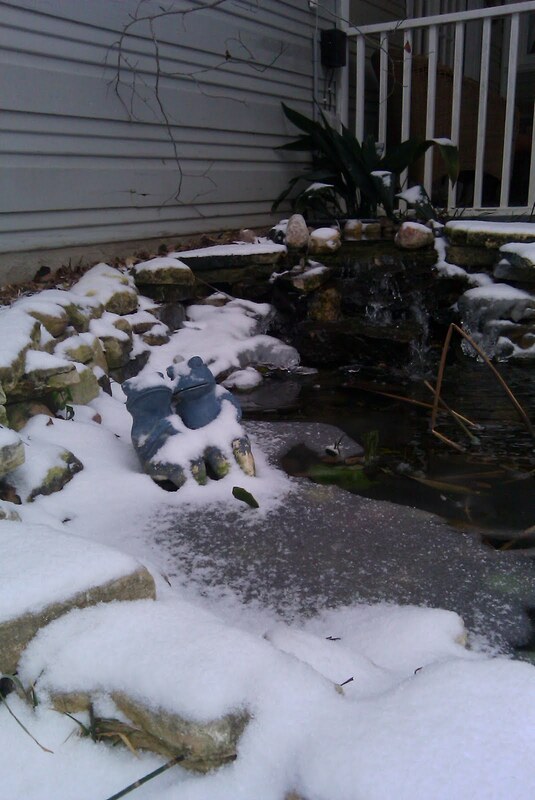 It was only an inch, but enough to have fun in. Most melted by late afternoon, except for patches in the shade. I have a few more pics with William and Paul and snowball wars, plus one humble "snow angel", but these didn't turn out that well, I had to use my camera phone. I hope you have a terrific weekend! Enjoy being indoors if YOUR snow is keeping you home bound! Stamping anyone? Happy Friday!! Time for a new Color Spotlight Challenge with these beautiful Pure Luxury hues!! On the coldest day here in years I decided it was time to get some butterflies, Spring IS on its way! :) I made this sample with "Fun Year Round", and my butterflies from "A Beautiful Life" and "A Year of Borders". I started stamping the frame onto White and then stamping in some of the butterfly border, masking some of the circles, but letting them overlap the circles in other areas. Next I colored in some of the butterflies and areas in and around the circles in R02 and YR16. On the butterflies I added YR18 and R83, R85 for contrast. I used 100 Copic in the corners. I layered these die cut circles over this large flower from The Paper Studio and added a few cut out butterflies covered with Stickles, adhered with pop dots. Be sure to use the tag STVCSP11 when you upload your creation with this color combo to the STV gallery for a chance to win a free set of stamps from Gina K Designs! Yeah, I know those of you who are buried right now are rolling your eyes that we are praying for some, but we haven't had any snow yet this winter, and this front is probably our last hope. My boys are foaming out the mouth at the prospect there might be 2 inches in the morning (60% chance) so I'm just really hoping they'll get to see a little bit, have a chance to play!! This afternoon we made these fun snowball cupcakes in anticipation (AND to soften the blow tomorrow if there's none, "hey, who wants a CUPCAKE?!") William got to decorate one like this after Christmas at the cutest little cooking shop here in town "Kids Cook", so I decided today we'd make our own. The different textures and flavors are really fun, and the popcorn is such a novelty and adds a nice salty crunch. Love how unexpected that topping is! Make a white or yellow cupcake from boxed mix and decorate with a tub of vanilla frosting. Add popcorn first (one mini microwave bag was just right for all the cupcakes), pressing gently into the frosting to stick, leaving some room for the other toppings. Next, add marshmallows, and finally white chocolate chips in the spaces in between. Voila! Snowball cupcake! To make it even more festive, add some of the little edible silver balls, we used these at Kids Cook for sparkle, but I didn't have any. Hope your kids (and you!) enjoy this kicked up cupcake!